Fantastic, was my reaction as J and I made our way through first one, and then the second of the interactive story books Hallmark UK sent us. And I think J concurs on both counts. 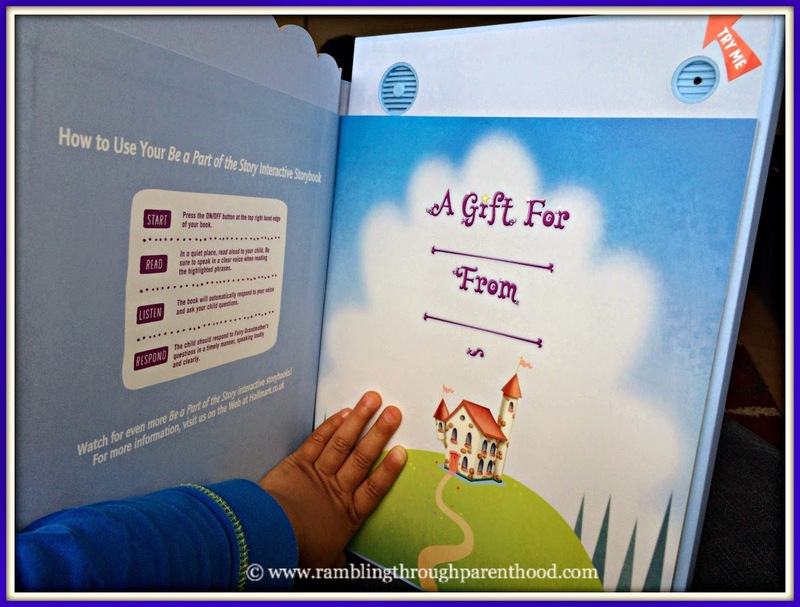 These interactive books really are nothing short of interesting, intriguing and innovative. They are very well made. Encased in a sturdy hardboard cover are 24 brightly coloured pages that tell a story. 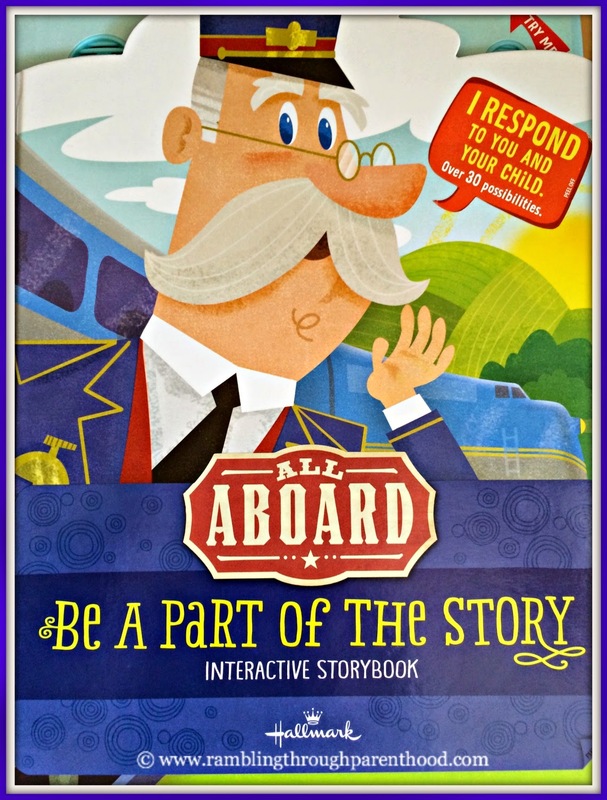 And the best part is Hallmark's I Reply Technology, which brings the stories to life. 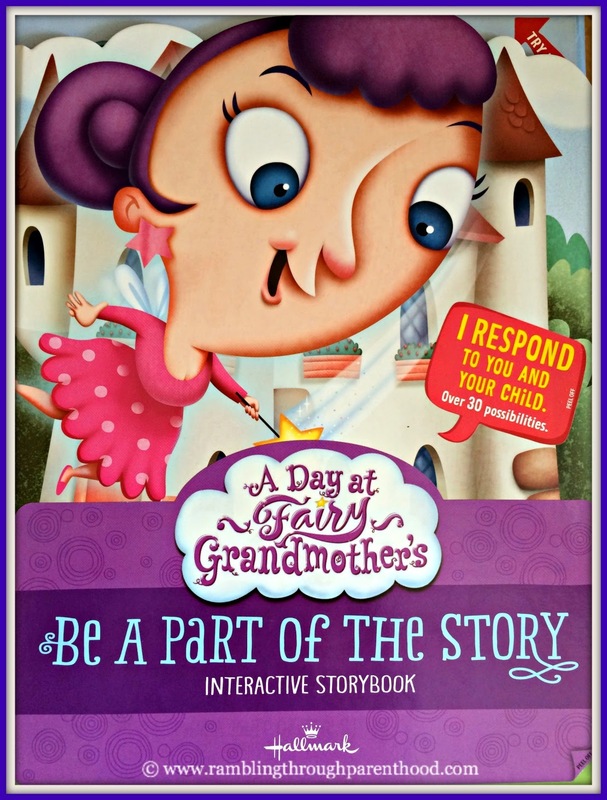 When you read and respond to certain key phrases throughout the book, you get a unique response from the narrator of the book, Connor the Conductor or Fairy Grandmother, depending on which book you are reading. So in essence, it is this interaction between the reader and the narrator that carries the story along. 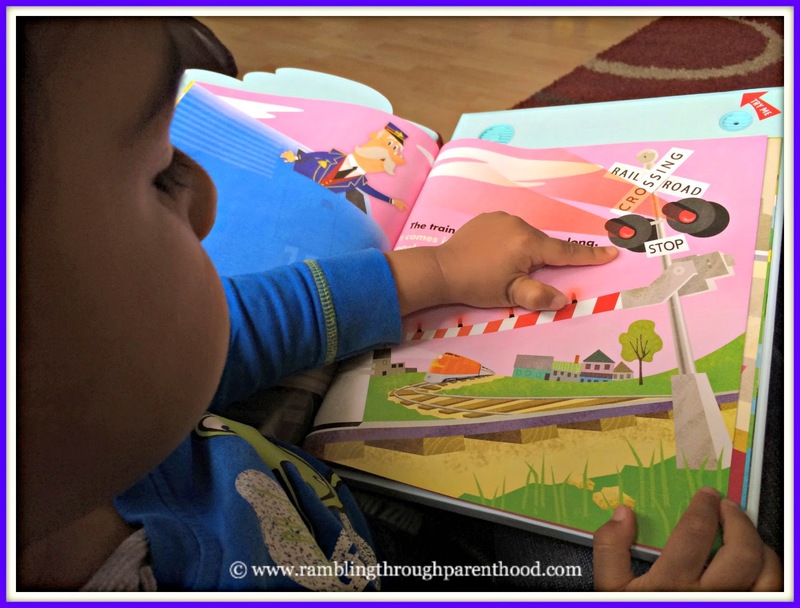 It took us a reading or two to get the hang of how the book responds. Actually, it was me. I was so excited, I was reading very rapidly. And then I figured out I just had to read as I normally would, clearly enunciating the key phrases so that the microphone at the head-end of the book picks them up, allowing the book to respond. J needed a little bit of initial prompting to shout out the answers, for he too, in all the excitement, was screaming. Not necessarily the answers, just screaming like an excited 3-year old. Oh, I forget. He is a 3 year old! And he was excited to have his storybook talk to him. There were places in the story where J had to reply to a question. At other times, he had to choose between a couple of options he was offered. The story would progress based on his response. Couple of words, small changes to the story, but enough to keep a child rivetted. I can only imagine how thrilled J must be feeling to be part of the story, to be the decision-maker in the plot-line. I suppose that is what makes these interactive storybooks so special. They give the child the opportunity to choose, to decide, to be part of the action. 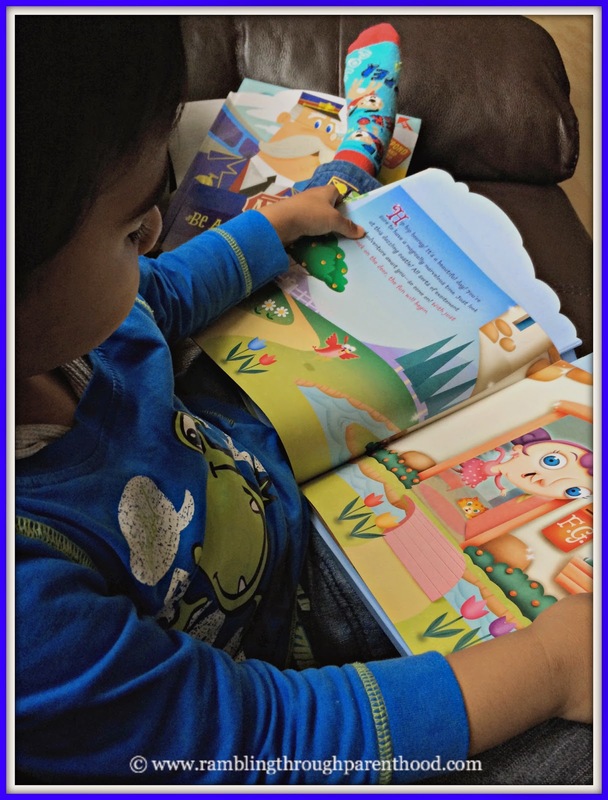 The other benefits of reading to children - the development of language skills, of comprehension, of attention spans and focus, all those hold for these books as well. We have thoroughly enjoyed reading our interactive books. You could too. 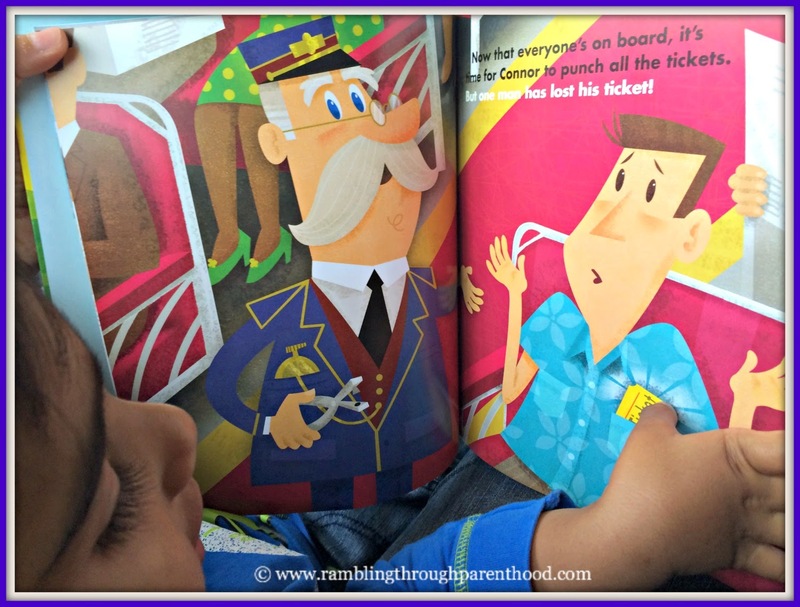 I have a pair of these interactive storybooks by Hallmark UK to giveaway. Just enter via the Rafflecopter below. Good luck! I love the idea of this, but I've yet to find a book like this in which the story doesn't suffer? I also think books are a window into an exciting other world - but then i guess "going there" by being included is even more exciting! The fact that the books talk back makes them super awesome!! The books look really nice. I think these look absolutely brilliant. I remember I book I had as a child which had my name in and that was exciting enough. Would have loved this. Not surprised he got excited!! Lovely gift ideas, I' love one! It makes it even more exciting for the children.